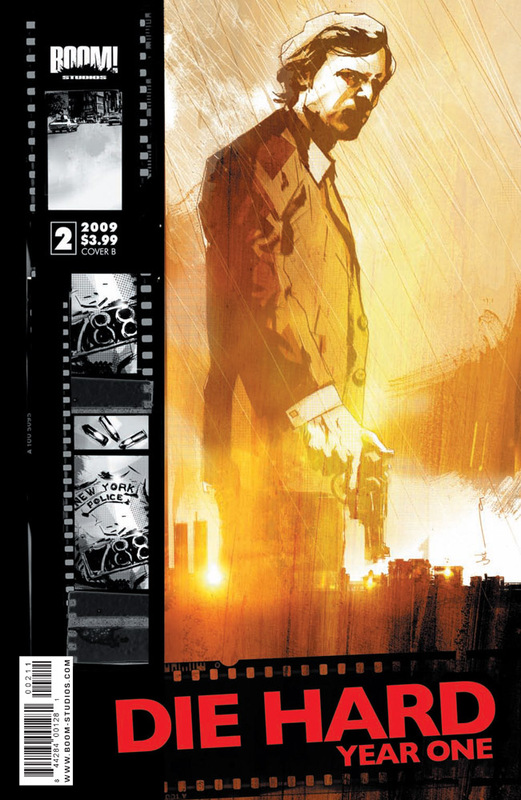 Like all good stories, some elements need to be teased out as the reader goes along with the plot. 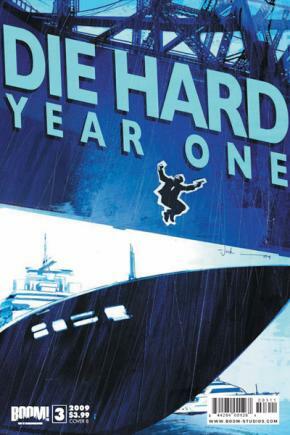 With this issue of Die Hard Year One, some of the pieces start fitting together until, by the time we get to the final pages, the picture is looking more and more complete – and it is not a pretty scenario for John McClane and Rosie Haskell (the girl who, in issue 2, was in the worst place at that the worst time). One slight negative is the rendering of Haskell – she constantly seems to have her mouth agape, for no particular good reason, and seems more of a ‘dizzy blonde’ than she really needs to. Sure, she is a ‘damsel in distress’, but the rather vacant expressions she pulls is a bit of a distraction – and slightly comedic (surely not the intention). Some nice retro fashion depicted in the art though – and those hairstyles (all flicks and bangs) are great. Another strong episode. Not a lot more to say than that. 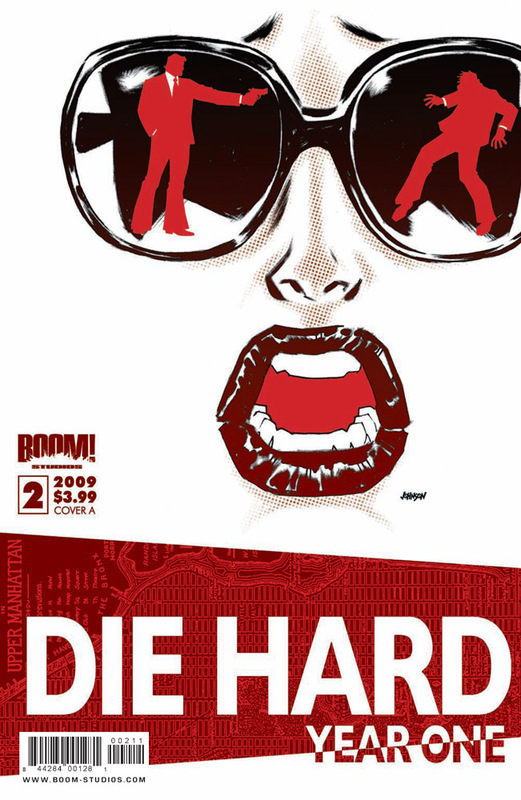 Die Hard Year One #3 is out today (25th November) from Boom!